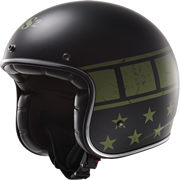 There is a choice of two great graphic options with the new Kurt helmet. 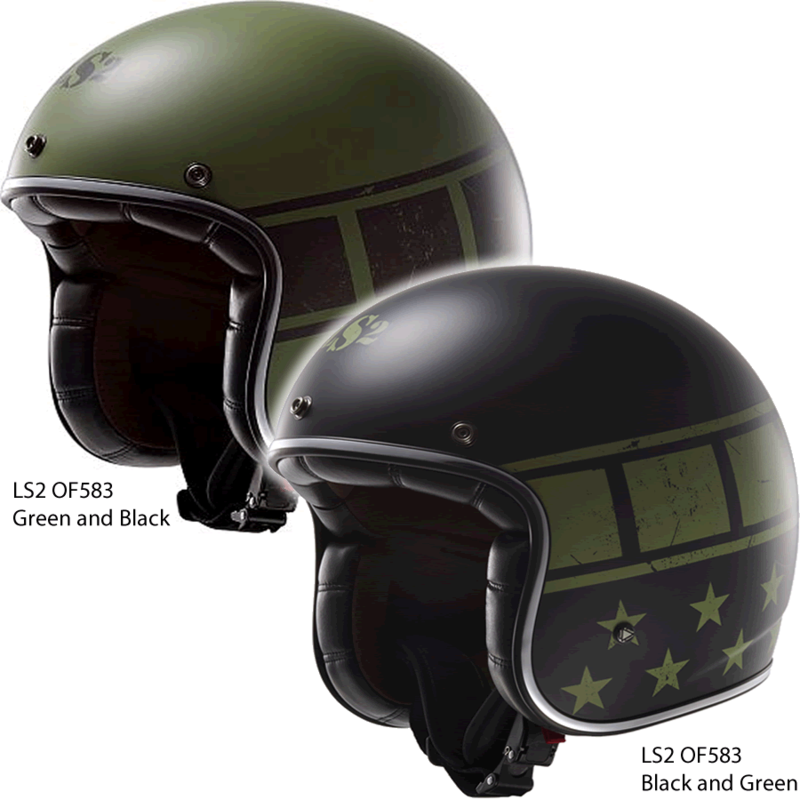 Both options boast sturdy fibreglass shells, the first is MATT MILITARY GREEN and has black detailing and the second is MATT BLACK with Green detailing. Must have for any biker! Orders yours now. A quality helmet to this standard is often hard to come by. Quick release seatbelt style strap. Removable anti-bacterial soft inner liner. Includes a pair of goggles and a peak, free of charge! It is important to measure your head correctly (measurement should be taken in centimetres - please see the guide in images) and order the right size as, FOR SAFETY REASONS, WE ARE UNABLE TO EXCHANGE OR REFUND ANY HELMET. 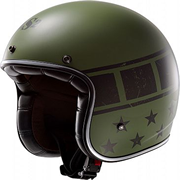 In the event of a manufacturing fault, the helmet should be returned to us for examination whereby it will be returned to the manufacturer for repair or replacement by them. 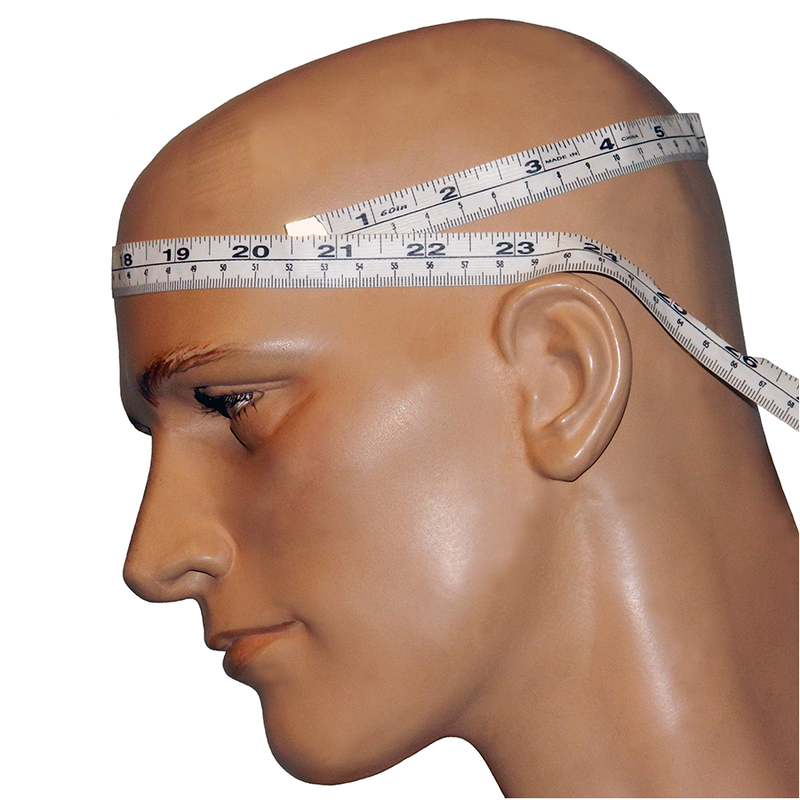 This also applies in the guarantee period of the helmet. Please look after your helmet, it is there to protect your head by impact absorption. Great care should be taken never to drop your helmet. Should it be dropped or in an accident, it needs to be replaced immediately.